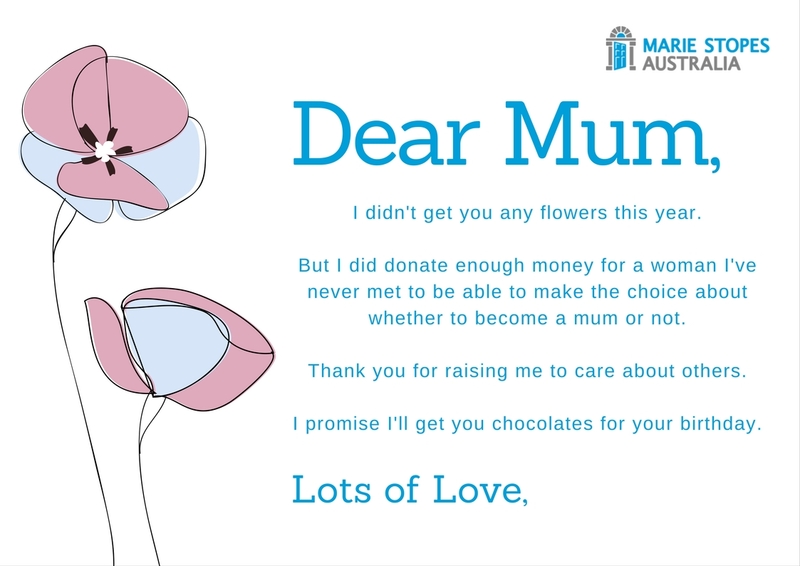 This Mother’s Day if you’d like to make a difference to the lives of Australian women who are struggling to access sexual and reproductive healthcare, consider donating to our Marie Stopes Choice Fund. Every woman deserves the right to decide when and if they wish to be a mum, but not all women are able to access the resources they need to exercise that choice. Thousands of women each year are unable to access contraception or abortion. At Marie Stopes we are determined to see this change. We want to see a world in which everyone is able to take control of their sexual and reproductive health. But we need your help. The Marie Stopes Choice fund provides access to contraception and abortion for women experiencing financial hardship. By making a donation you’re helping women to exercise their right to choose whether they’re ready to be a mum or not. This Mother’s Day, give the gift of choice. And in thanks, we’ve already prepared some Mother’s Day cards for you to print out and give to mum, so she knows why she’s not getting wilted carnations again this year. We think she’ll understand. Mother’s Day is an occasion where we should be reflecting on how much a maternal figure in our life means to us. Instead, it’s often spent in a wrestling match for the last bunch of semi-wilted flowers at Woolworths and a generic but overpriced Hallmark card that we hastily scrawl our name onto. In other words, occasions that are meant to reflect how much care and thought you have for someone in your life can end up being just another chore that gets left to the last minute and is resolved by throwing money at it. Sometimes it feels like there are 400 holidays every year, and each one of them comes with an expectation that you buy someone a gift to reflect their value to you. This can be problematic if you’re concerned about your carbon footprint and the impact that buying unnecessary objects can have on the planet. For some it can present a financial expectation that they might not be able to meet. Or if you’re not a materialistic person, you might resent feeling obliged to fill other people’s lives with holiday mandated gifts. This all helps to explain why more and more people are choosing to use these occasions to give to the causes that hold a special place in their heart. Instead of giving their money to a department store, people are investing in charities and not-for-profits. It’s not hard to see why either; while we have plenty of occasions to remind us to shower our loved ones in flowers, chocolates and gifts, we don’t really have social reminders to give back to the causes that we care about. 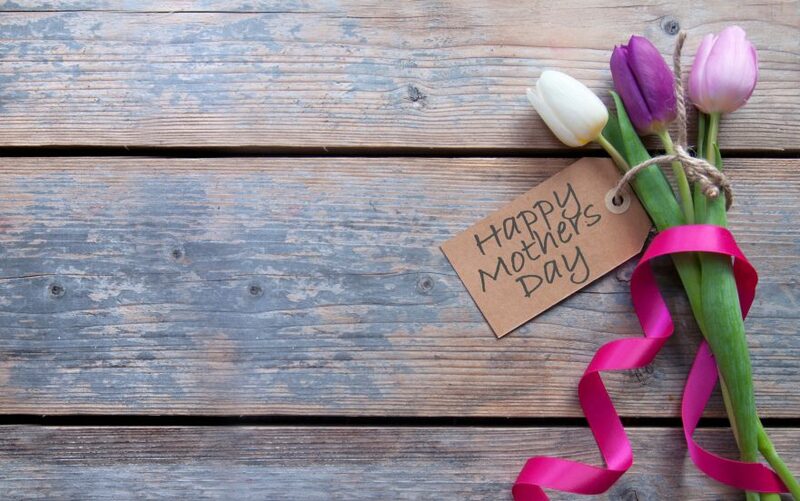 To help make up for the missing carnations, we’ve prepared a card you can give Mum instead. Click on the image, download the PDF and email it to her on Mother’s Day. Or, for extra brownie points, print it out and mail it to her.